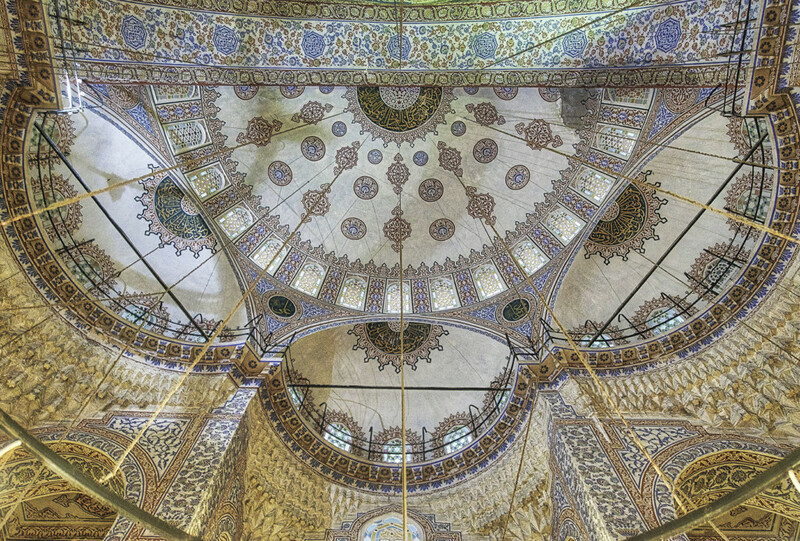 One beautiful, versatile roof of a mosque in Istanbul. I have visited four mosques, each of them was a unique experience. I had to put off my shoes at the entry. Then you go in and walk on a big, soft carpet. The carpets have many colorful embroidery patterns which build a perfect harmony with the artful roofs.